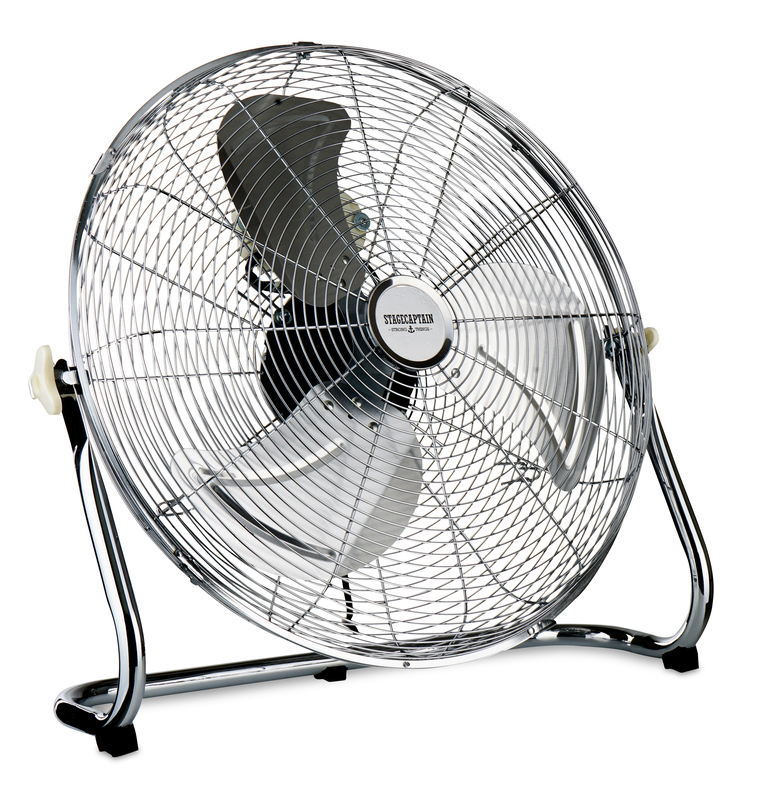 The Stagecaptain FV-200 Polar Power floor fan blows air with 20-inch fan blades. Sticky, overheated stages and dance floors are a thing of the past! 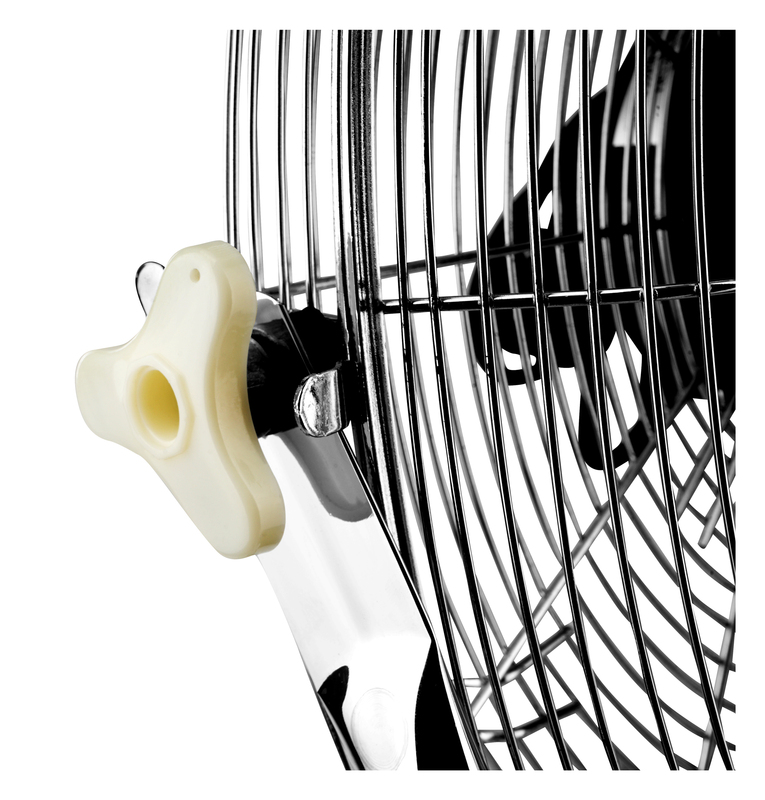 The fan stands on a 22-mm stable steel tube base, which has anti-slip and vibration-absorbing rubber feet. 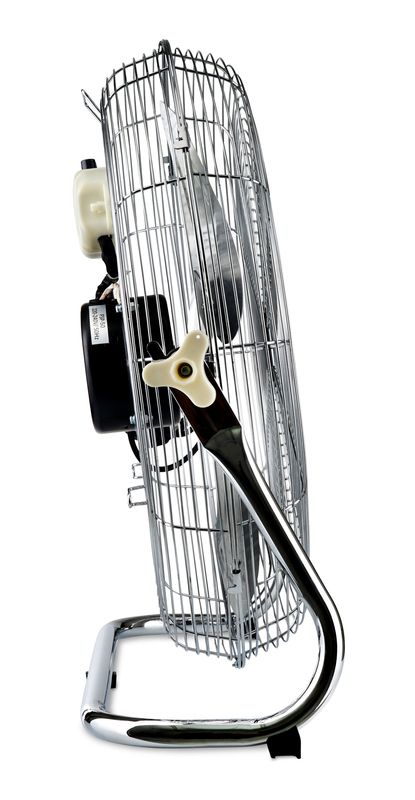 Additionally, the impeller and the protective housing are also made of metal and are completely chrome-plated. 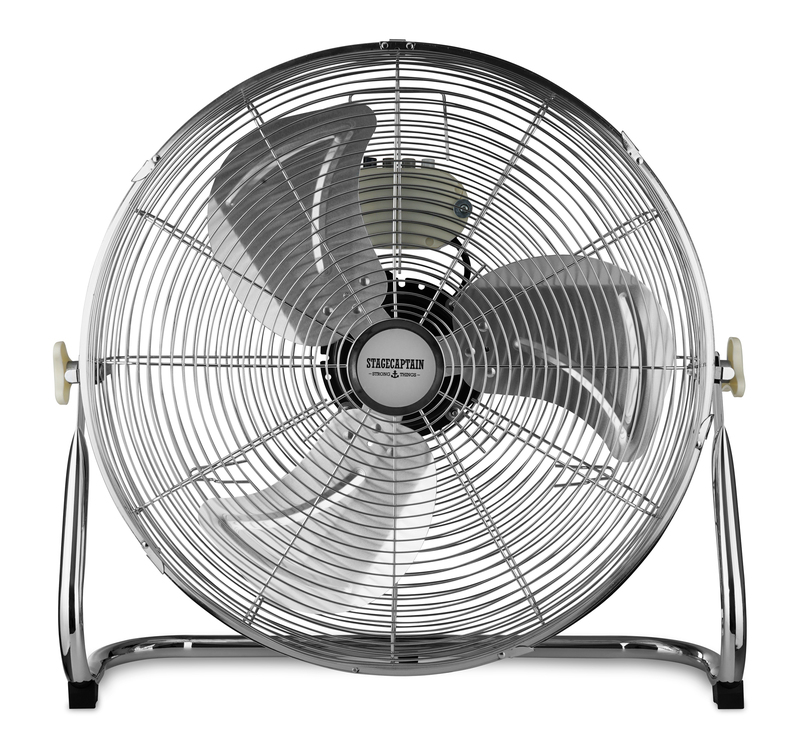 The fan has three power settings with switches on the back of the unit. With an enormously large tilting angle of approx. 120°, the air can be directed in nearly any direction. The Polar Power is already pre-assembled and delivered ready for operation. A carrying handle and built-in cable winding make it fast and uncomplicated to transport to festivals and party tents. 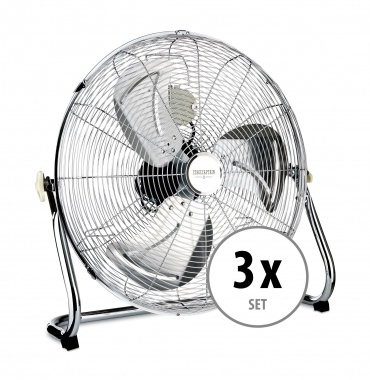 The Stagecaptain floor fan plays to its strengths on the stage (especially with drummers), as well as in party tents and halls.Whether you want to circulate warm or cool air, or feel the cool breeze – the Polar Power is ready to meet the challenge. 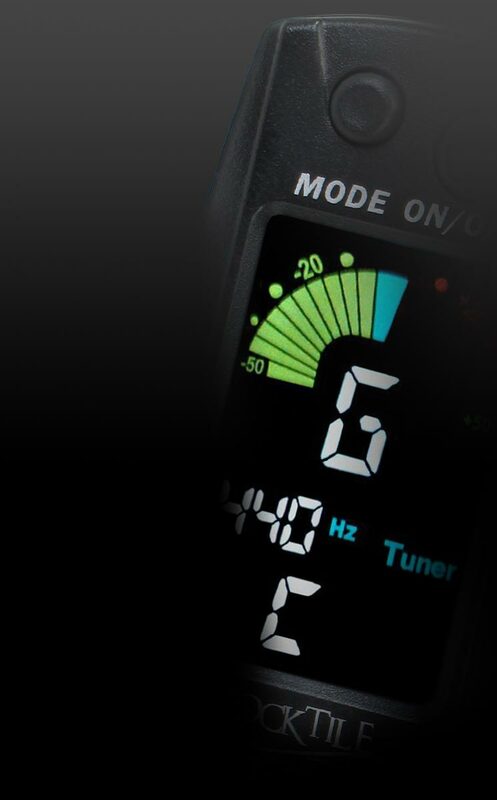 Of course, it also works great for cooling power amplifiers or letting the bandleader's hair fly! 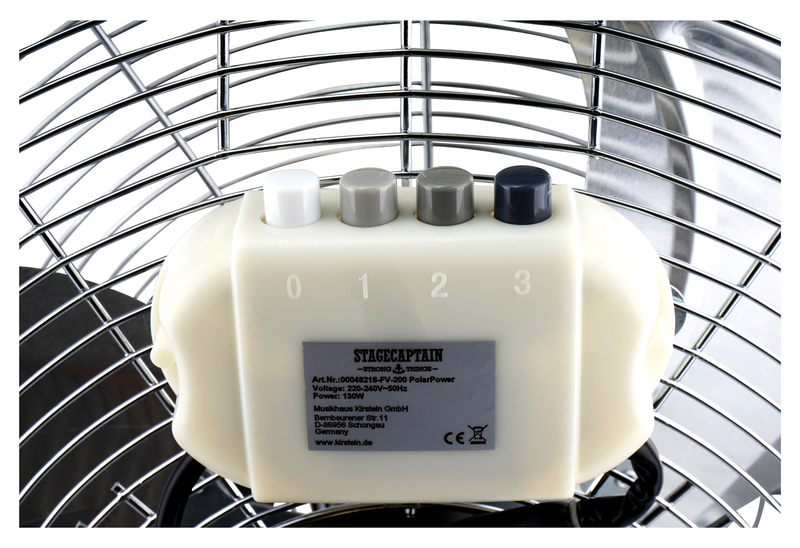 The FV-200 floor fan from Stagecaptain - the smart choice for organizers and musicians!